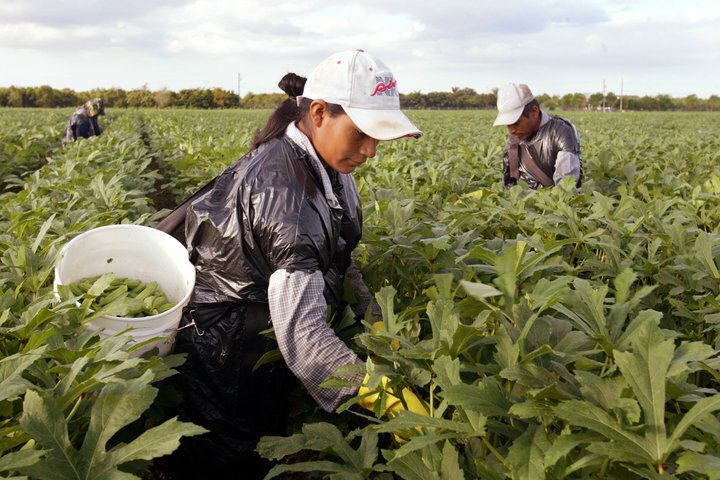 In a feature article for CBS News, Cornell Farmworker experts Mary Jo Dudley helpfully explained to America this week that our nation cannot bear to crack down on illegal immigration. Using the ol’ trusty standby – “they do the jobs that Americans won’t” – Dudley writes a piece that is both misleading and, when it comes right down to it, highly offensive. Her main idea, while not spelled out in these exact terms, is that the U.S. farming economy depends on a steady influx of illegal immigrants. Without such migrants – willing to do backbreaking work for sub-legal wages – our produce prices would skyrocket and our fruit would rot on the vine. In any other context – child labor, for instance – this would be seen as an endorsement of runaway exploitation of desperate human beings. But since this is an argument against President Donald Trump, the liberal media will gladly turn its head and pretend not to notice the disturbing ramifications of this argument. In 2017 research conducted by the Cornell Farmworker Program, 30 New York dairy farmers told us they turned to undocumented workers because they were unable to find and keep reliable U.S. citizens to do the jobs. That’s in part because farm work can be physically demanding, dirty and socially denigrated work. More importantly, it is one the most dangerous occupations in the U.S. So, let’s get this straight. The farming industry is essentially holding our dairy, fruit, vegetable, and meat supply hostage, telling us that we either let illegal immigrants work dangerous jobs for rock-bottom wages…or damn it, we’ll hike your milk so high you won’t be able to afford baby formula! Are we seriously going to stand by and pretend this is anything less than exploitative extortion?